After months of searching for a video converting app that would let me choose audio and subtitle tracks contained in the ubiquitous MKV format (which is very common for anime) and re-export it to an iPhone or PS3-ready video with or without burned in subtitles, I gave up. There simply wasn’t an app that would let me do it without undertaking at least 10 manual steps with dubious command-line software and a lot of script rummaging. Then I found MKVTools. It’s not just super-fast (my previous alternative was Perian+Quicktime, which made gorgeous subtitles, but exporting literally took hours), but it also lets me pick audio/video/subtitle tracks, and 1-click convert it to something my iPhone can play. It’s free, to boot (a few advanced features like queuing are unlocked for a tiny 5 dollars). The UI and the icon of the app are not that great, unfortunately. I can’t do much about the UI, but here are two nice icons so you can keep it in your dock without flinching. As a bonus, there is an alternative to the modern aluminium replacement icon in ‘toolbox red metallic’ included. MKVTools can be downloaded here. Icons are for personal usage only. Sometimes, I like to do a little bit of icon speed drawing. Like with my iWork.com icon goodie, I completed these icons in a short time of about 2 hours total. 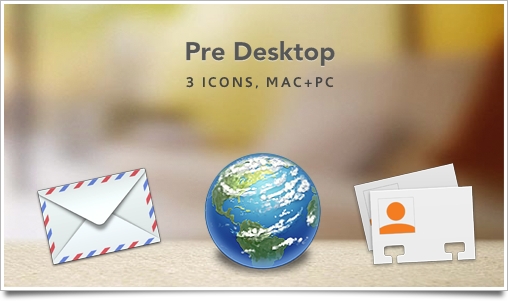 I really like the Palm Pre‘s web browser icon, so I speed-designed 3 of the nice-looking icons on the Pre’s launcher screen for usage on your Mac or PC. They’re not amazingly detailed or even polished at their maximum size of 512 pixels, but that wasn’t my intention, either. Consider that a disclaimer before you start commenting that they don’t look nice enough to you at that size ;). These icons are intended for personal usage and desktop customization only. Palm Pre, the Palm branding and its icons are © 2008-2009, Palm. As I promised for my birthday, here’s a nice wallpaper goodie. I lost my files for it in a hard drive crash, but I must say the redesign looks a lot better than the original. 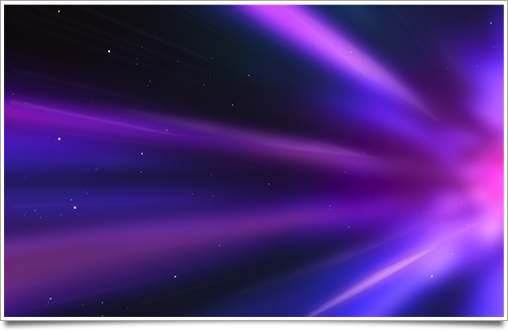 Those familiar with the series may recognize it as the tunnel of light that ships enter when traveling at faster-than-light speeds. I’ve expressed my love for the new Macross series before, and I’ve uploaded some pictures of nice new Macross Frontier toys on my Flickr stream, so the last thing that was missing was a nice wallpaper to go with it! This wallpaper is intended for personal usage and desktop customization only. Macross Frontier is © 2008-2009, Bandai and the Macross F Production Committee. 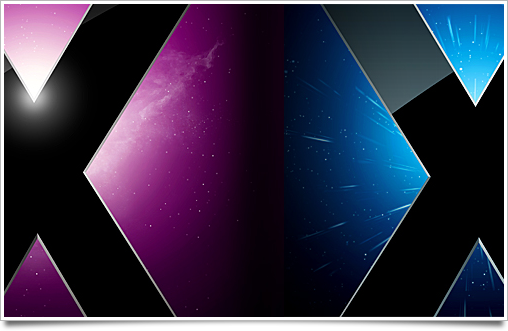 In anticipation of Apple’s next iteration of Mac OS X, Snow Leopard, I created this wallpaper based on the artwork of Apple’s Snow Leopard website. While I’m unaware of the new wallpaper and UI changes in Snow Leopard, this should last you until more is revealed! This wallpaper is intended for personal usage and desktop customization only. 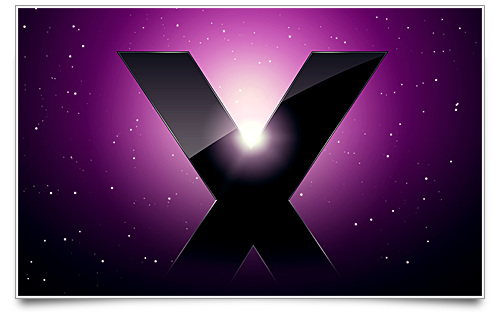 Mac OS X 10.6 ‘Snow Leopard’ is © 2009, Apple Inc.